Right around the corner from the last NHL, the oh-so-Queen Annish Russell Henry Chittendon House (CTMQ Visit here), is this Italianate beaut on Hillhouse Avenue. If you ever want to take a stroll up and down an “important” street in America, you could do worse than Hillhouse Ave. It’s quite spectacular. I think most of the houses/buildings are owned by Yale now, but they all still retain their house-like charms. Yeah, so it’s a pink(ish) house. Don’t front, for Dana was all man and a really cool man at that. 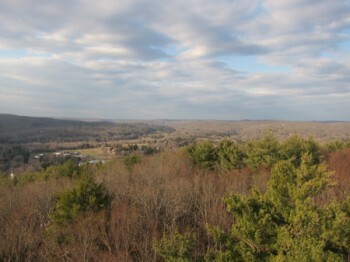 I’ve learned about a lot of fascinating people who lived in Connecticut through this goal of finding all of the National Historic Landmarks. I thought that maybe learning about Stephen Mather’s house down in Darien would be the coolest discovery of mine (CTMQ Visit here)… But now I think Dana may be ahead on points a little. In 1830 Dana entered Yale College in order to study under Benjamin Silliman. Silliman, by the way, was pretty rad himself. In fact, Cathryn Prince has written a book about Silliman called A Professor, A President, and A Meteor: The Birth of American Science that I plan on reading soon. 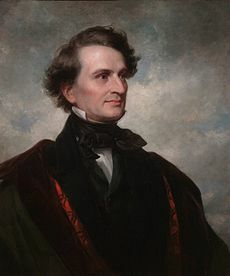 In 1836 and 1837 he was assistant to Professor Silliman in the chemical laboratory at Yale, and then, for four years, acted as mineralogist and geologist of the United States Exploring Expedition, commanded by Captain Charles Wilkes, in the Pacific Ocean. His labors in preparing the reports of his explorations occupied parts of thirteen years after his return to America in 1842. His notebooks from the four years of travel contained fifty sketches, maps, and diagrams, including views of both Mount Shasta and Castle Crags. Dana’s sketch of Mount Shasta was engraved in 1849 for publication in the American Journal of Science and Arts (which Silliman had founded in 1818), along with a lengthy article based on Dana’s 1841 geological notes. In the article he described in scientific terms the rocks, minerals, and geology of the Shasta region. As far as is known, his sketch of Mount Shasta became the second view of the mountain ever published. Now his relationship with Silliman gets a little creepy. 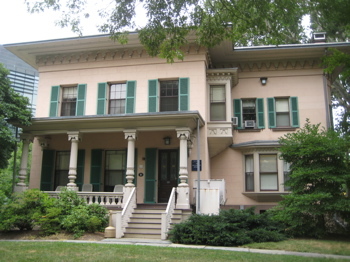 In 1844 he again became a resident of New Haven, and married Professor Silliman’s daughter, Henrietta Frances Silliman. In 1850, he was appointed as Silliman’s successor, as Silliman Professor of Natural History and Geology in Yale College, a position which he held until 1892. The 1849 publication of his geology of Mount Shasta was undoubtedly a response to the California gold rush publicity. Dana was the pre-eminent U.S. geologist of his time, and he also was one of the few trained observers anywhere who had first-hand knowledge of the northern California terrain. He had previously written that there was likelihood that gold was to be found all along the route between the Umpqua River in Oregon and the Sacramento Valley. He was probably deluged with inquiries about the Shasta region, and was forced to publish in more detail some advice to the would-be gold miners. Dana was responsible for developing much of the early knowledge on Hawaiian volcanism. In 1880 and 1881 he led the first geological study of the volcanics of Hawaii island. Dana theorized that the volcanic chain consisted of two volcanic strands, dubbed the “Loa” and “Kea” trends. Following another expedition by fellow geologist C. E. Dutton in 1884, Dana returned to the island once again and in 1890 he published a manuscript on the island that was the most detailed of its day, and would be the definite source upon the island’s volcanics for decades. Dana was prolific to say the least. Dana’s best known books were his System of Mineralogy (1837), his Manual of Mineralogy (1848), and his Manual of Geology (1863). A bibliographical list of his writings shows 214 titles of books and papers, beginning in 1835 with a paper on the conditions of Vesuvius in 1834. His reports on Zoophytes, on the Geology of the Pacific Area, and on Crustacea, summarizing his work on the Wilkes Expedition, appeared from 1846 onward. The Manual of Mineralogy by J. D. Dana became a standard college text, and has been continuously revised and updated by a succession of editors including W. E. Ford (13th-14th eds., 1912–1929) and Cornelius S. Hurlbut (15th-21st eds., 1941–1999). The 22nd edition is now in print under the title of Manual of Mineral Science (2002), revised by Cornelis Klein. Dana’s System of Mineralogy has also been revised, the 6th edition (1892) being edited by his son Edward Salisbury Dana. A 7th edition was published in 1944, and the 8th edition was published in 1997 under the title Dana’s New Mineralogy, edited by R. V. Gaines et al. 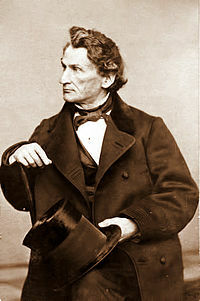 Dana published a number of manuscripts in an effort to reconcile scientific findings with the Bible between 1856 and 1857 and which are called Science and the Bible. The Dana Medal of the Mineralogical Society of America was named for Dana and his son Edward Salisbury Dana. It recognizes outstanding scientific contributions through research in the mineralogical sciences by an individual in the midst of their career. I hope you enjoyed learning about this guy as much as I did. So what of the pink building today? It has housed the Department of Statistics at Yale for over 30 years. Now you know. Really enjoyed your write up!